Massdrop has a penchant for inciting an audiophile stampede at the “drop” of a pin with their fantastic prices and interesting tweaks to existing product ranges. 2016 may just have been their most high profile year with the HD6XX from Sennheiser going like hot cakes and to follow that up we now have Noble with their very easy to market new “X” IEM coming out at just $249. 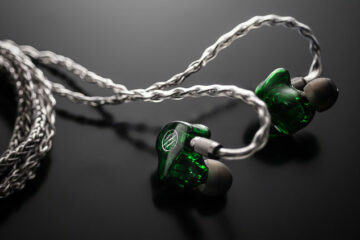 That price is a steal for that know and love the Noble Audio product line. The drop just finished a few weeks ago so the final product won’t start shipping until March 2017. That is some wait, but given that yours truly did a very patient 4-5 month wait for the HE350 drop last May (got it October 2016) this is not unusual. My advice is to sit back, relax, read some reviews in advance because it will get to you in good time. It is not hard to miss the pitch on this one. It’s a Noble Audio dual BA IEM, it’s never been out on the market before, it is $249 and it is on Massdrop. 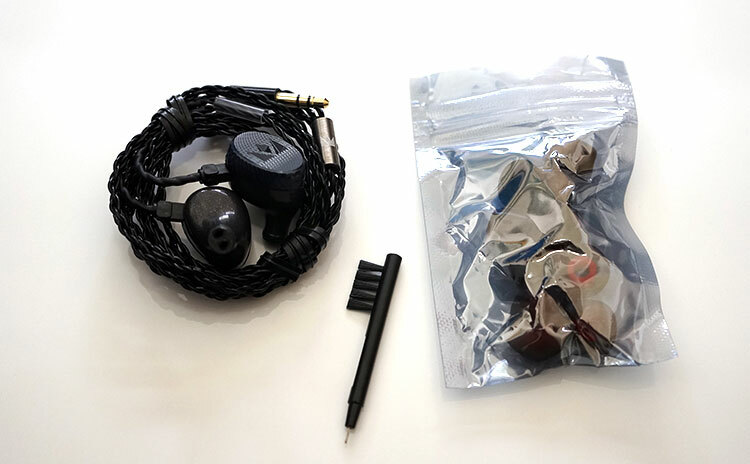 Not only will it tickle the interest of those that know all about Noble but it will reach out to the more casual enthusiast due to Massdrop’s very wide appeal to shoppers and the price point which is the cheapest ever Noble Audio IEM. It is also close to Xmas time, end of year bonuses are in the bag, people are shopping and whilst it won’t arrive until March 2017 the drop has already hit its target and nearly 400 at the time of writing are patiently waiting to see if the drop will be activated again. Drawing inspiration from the Noble Savanna, Savant, and Django models, these feature the precise craftsmanship and incredible clarity the company is known for, plus a sound signature all their own: fun, punchy, musical, and engaging, with a solid bass presence. Now I happen to have both the Savant and Savanna models so it will be interesting to see how that description stacks up when testing but it’s clearly a nod to the casual user and audiophile alike. This will not be an analytical and measured referenced IEM. For $249 you will get Noble’s interpretation of musicality and that should appeal to the wider audience base at this price point. 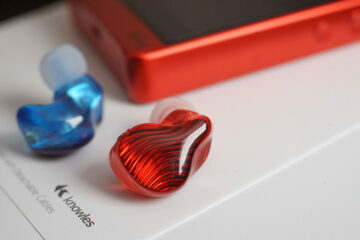 The X continues with the new universal IEM design that Noble rolled out over 2016 and one that we covered in our Savanna review a few months back. It is quite a unique design and an eye-catching one at that. The weight feels roughly the same as the Savanna though a little bit weightier than the old plastic design of the Savant. Massdrop has helpfully given us a weight for the X at 19.5g so my previous estimation of around 20g – 25g for the Savanna was right on the money. The physical dimensions are exactly the same also as the Savanna. Dimensions are roughly 22mm at its widest, and around 12mm deep or 20mm from the top of the plate to the edge of the nozzle using my measuring tape. It’s bigger than a Westone and fairly deep or long but the finish is very smooth, much smoother than the first gen of Campfire Audio IEMs. The materials used are still a mix of plastics for the body and machined metals for the faceplate though on the X the faceplate weave is slightly different. Instead of a grooved side plating finish the X has a diamond weave pattern on the sides. I have not asked but it could be interpreted as an “X” lattice effect to tie in with the name. The fishnet weave on the top of the plate is far more detailed than the Savanna’s excellent honeycomb design and a bit more reflective also. There is a wonderful shimmer on the pattern against the light when moving it around whereas the Savanna design has more of a matte finish that absorbs the light. The seal between the faceplate and the main plastic body of the X follows the same lines as the Savanna. Between the two the X has the slightly rougher finish around the seal with a bit more of the faceplate overhanging the plastic body than the Savanna and the gap just a hair’s breadth wider also. It’s not much but side by side it is slightly more noticeable. If you run your hand over the edges of the Savanna is feels wonderfully flush which is not quite the case with the X. Still, given the price difference, it is not unexpected. As with the Savanna, the X cable is designed to be worn with an over-ear cable which measures 50″ in length. The stock cable is detachable with a traditional recessed socket type 2-pin termination. The cable is a 4-cable braided construct with individual plastic wrapping. However, unlike the Savannah finish, the new X cable is finished with a shrink-wrapped cable guide in place of the memory wire. The memory wire on the Savanna is quite short in comparison and I have to admit the X cable shrink wrap feels light and easier to work with in comparison for adjusting around your ear. Like the Savanna, the cable also has a metal ‘y split’ tube with the Noble Audio logo engraved and a second short tube for chin locking. It also has a plastic chin locking tube which looked a bit cheap in comparison to the nicely finished y-split tube but it gets the job done. 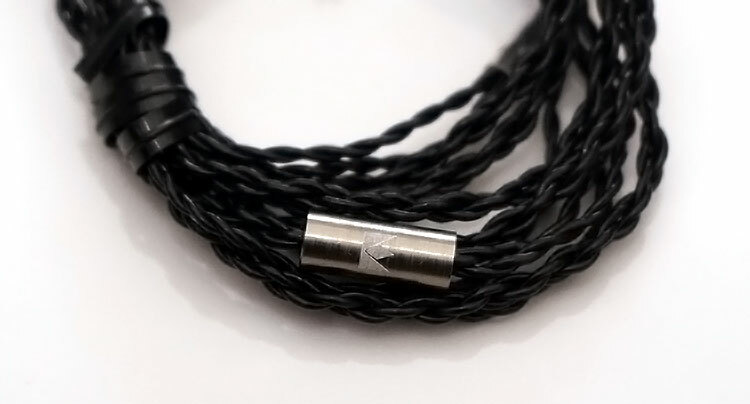 For an extra $40 you can also buy an alternative version of the standard cable, one terminated with a lightning connector instead of the usual 3.5mm jack. If you are rocking the latest iPhone, then I highly suggest you grab this cable if you intend to “jack” straight from the phone otherwise the 3.5mm connector will not serve much purpose. Sadly, I did not get the lightning cable in this sample kit so I cannot comment on its quality. Do feel free to chime in on the comments section if you have one with yours when they come out and how they perform. The fit and seal are on par with the Savanna and pretty much all the new universal designs. If you have tried one before then you will know what you are getting with the X edition. 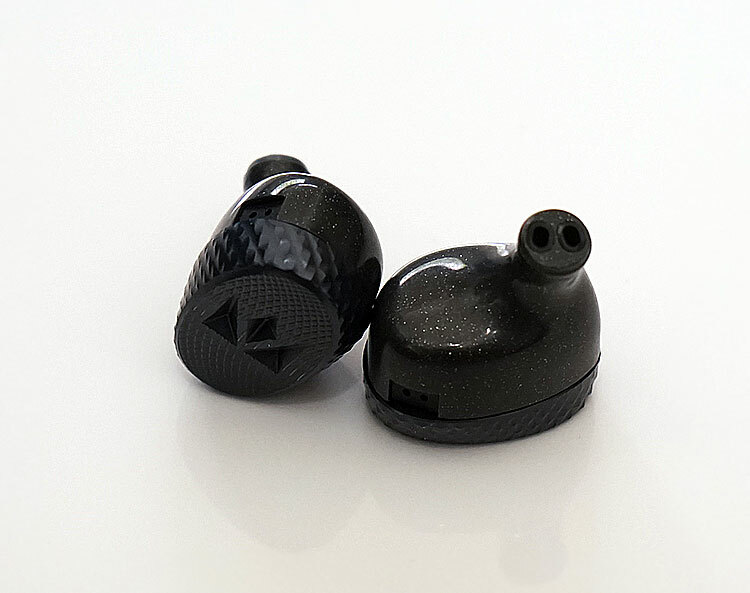 Due to its slightly deeper form factor, the X, much like the Savanna will sit out a bit more in your outer ear than other IEM designs but the fit feels rock solid with above average levels of passive isolation from background noise and little in the way of slippage or movement. There is no messing around either for a sweet spot and no undue pressure on the outer ear that would provide any level of discomfort. The included foam tips will give you an excellent seal but will change the tonality a little compared to the single silicone bore tips that also come with the package. Note there is only a single set of dual flange tips in a medium size as a 3rd possible option for fitting. 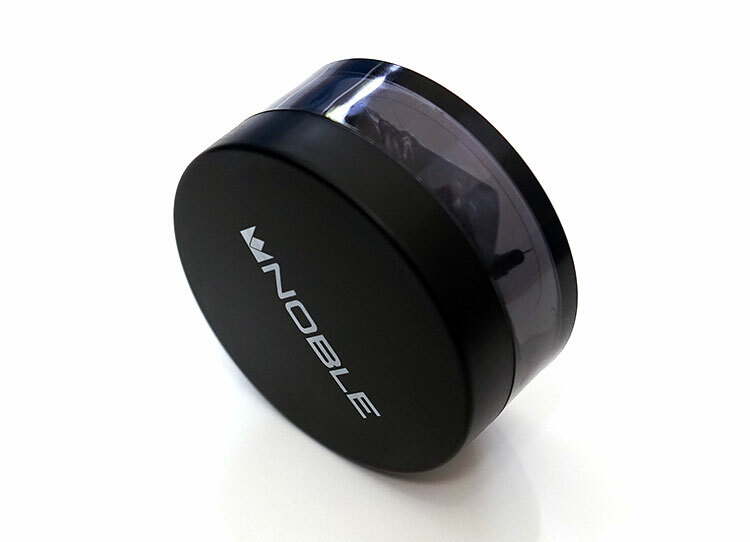 The tips selection itself is thinned out a lot more than the standard offering from Noble and does not include the fancy silver tray holder. You get two single silicone bore tips in medium and large, 2 foams in large and medium and a single dual flange in a medium fitting. There are no tip offerings in a small size so if you are sporting tiny ear canals you are out of luck and I suggest you grab some Comply equivalents if you need a better fit. This is likely one of the areas studied in order to meet that $249 asking price. You do get a modern round pill box type for carrying the IEMs around. I have seen this format quite a bit now from the likes of Lear, Fidue, UM, and Oriveti and it’s a good form factor though a tiny bit bulky for the pocket. Having said that the Noble version is the metal type you normally get but a cheaper hard plastic variant with a smoked translucent bottom and a matte coated black screw lid bearing the Noble emblem. It does feel solid though and Lord knows how Noble actually got everything to fit in there when shipping them out because it’s tight. I suspect in everyday use you won’t take everything though in the case. Aside from the carrying pill case, tips and cable you also get a single cleaning pick in the package. I had the old and new Baby Stax, its all mids and not much else but very different to the normal stax sound, a lot warmer but without the low and top end extension I come to expect from Stax headphones. Also they hurt like hell! As they fall in almost the same price range as STAX SR-003MK2, will appreciate if anyone can share their views comparing the mass drop x by noble to the stax 003. I take it that the Cayin N3 would be a very similar pairing as i5? If no touchscreen is not an issue then the N3 is tonally very similar.